Progranulin/ granulin-3 antibody recognizes Granulin-3, also known as proepithelin or PEPI . The antibody has been extensively validated for western blotting using whole cell lysates. Goat anti Human GRN antibody recognizes GRN, also known as progranulin, granulin-3, proepithelin or PEPI . Granulins are a family of secreted, glycosylated peptides that are cleaved from a single precursor protein with 7.5 repeats of a highly conserved 12-cysteine granulin/epithelin motif. Cleavage of the signal peptide produces mature granulin which can be further cleaved into a variety of active, 6 kDa peptides. These smaller cleavage products are named granulin A, granulin B, granulin C, etc. Epithelins 1 and 2 are synonymous with granulins A and B, respectively. Both the peptides and intact granulin protein regulate cell growth. However, different members of the granulin protein family may act as inhibitors, stimulators, or have dual actions on cell growth. Granulin family members are important in normal development, wound healing, and tumorigenesis (provided by RefSeq, Jul 2008). 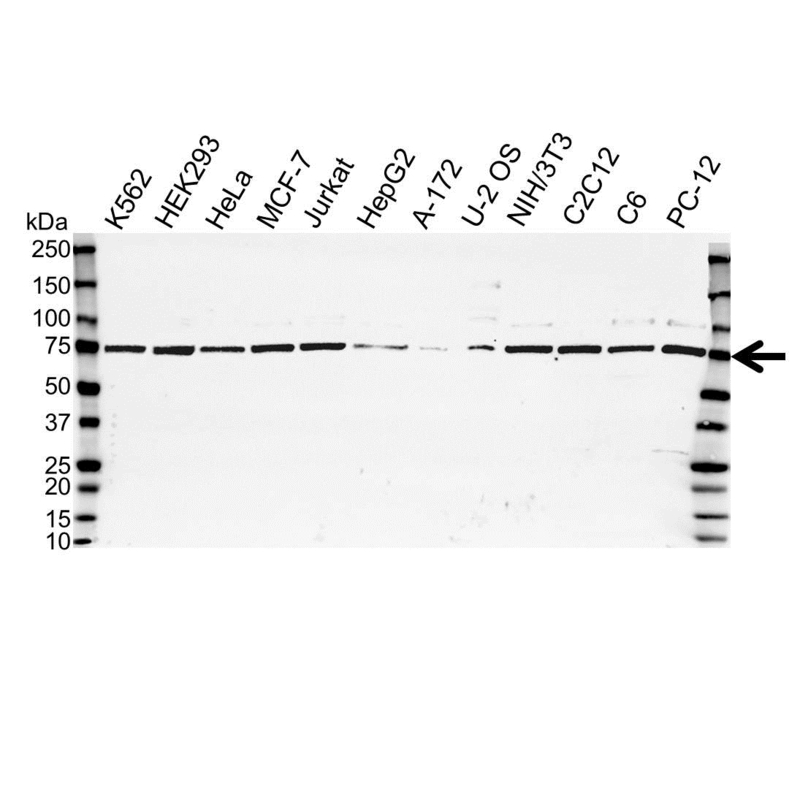 Goat anti Human GRN antibody detects a band of 75 kDa. The antibody has been extensively validated for western blotting using whole cell lysates. Anti GRN detects a band of approximately 75 kDa in Jurkat cell lysates. Peptide with the seequence PQDTVCDLIQSK from the internal region of the protein.